OH man, I love breakfast! I’ve talked about this many times before, but our family loves to enjoy breakfast for dinner at least once a week. That is because our mornings are usually so crazy and rushed that we rarely have time for a real hot breakfast. It’s typically toast, bagels, cereal or oatmeal. Pretty lame, I know, but that is why we usually make breakfast for dinner every Wednesday. Sometimes we go savory – sometimes we go sweet. 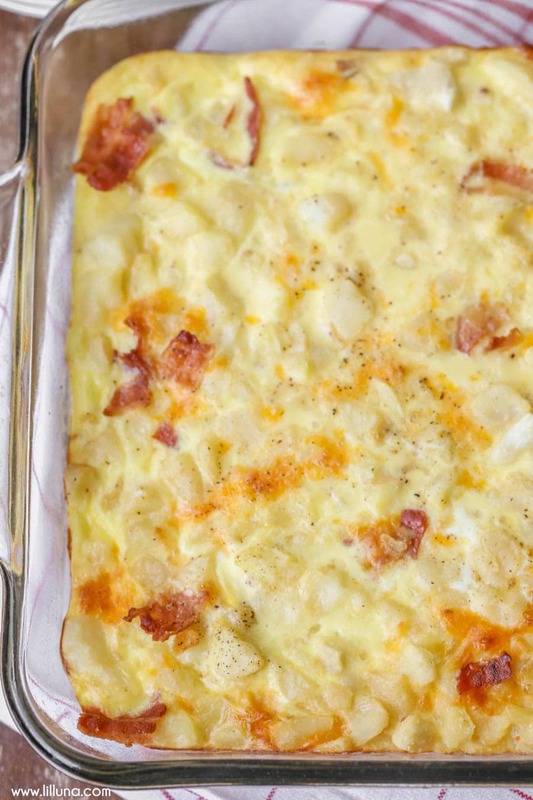 A quick and simple breakfast casserole filled with eggs, cheese, potatoes and bacon! Perfect for any morning. 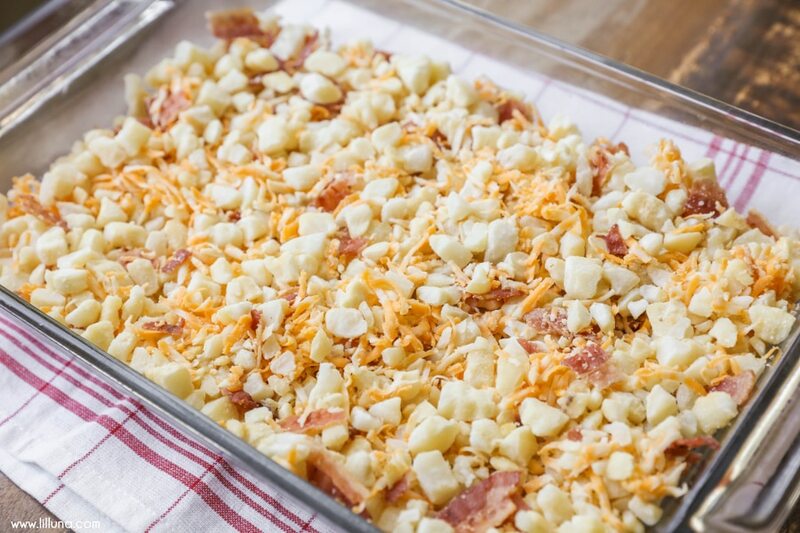 Combine hash browns, bacon, 1 cup cheese and salt in a large bowl. Mix well. Pour into a greased 9x13 dish. In another bowl, beat eggs, milk and paprika. Pour over hash brown mixture. Sprinkle with Paprika and remaining cheese. 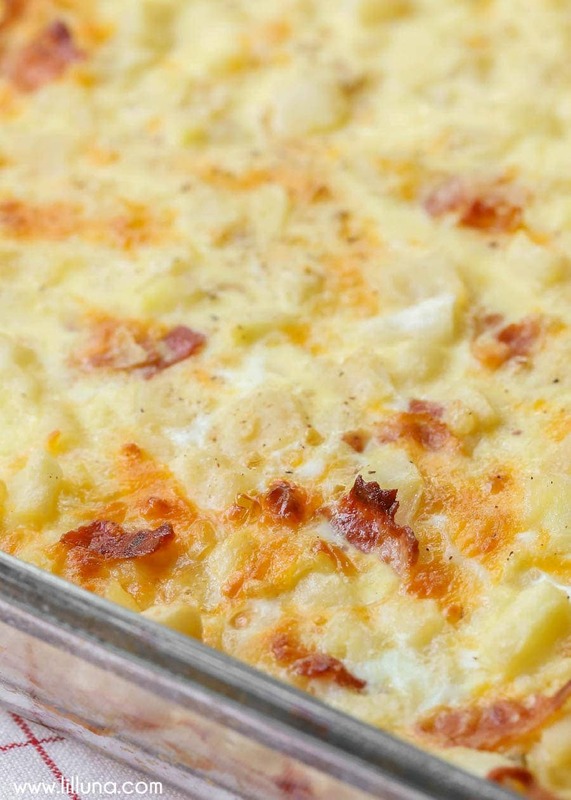 Bake for 40 - 45 minutes. Serve warm and ENJOY! This sounds delicious! 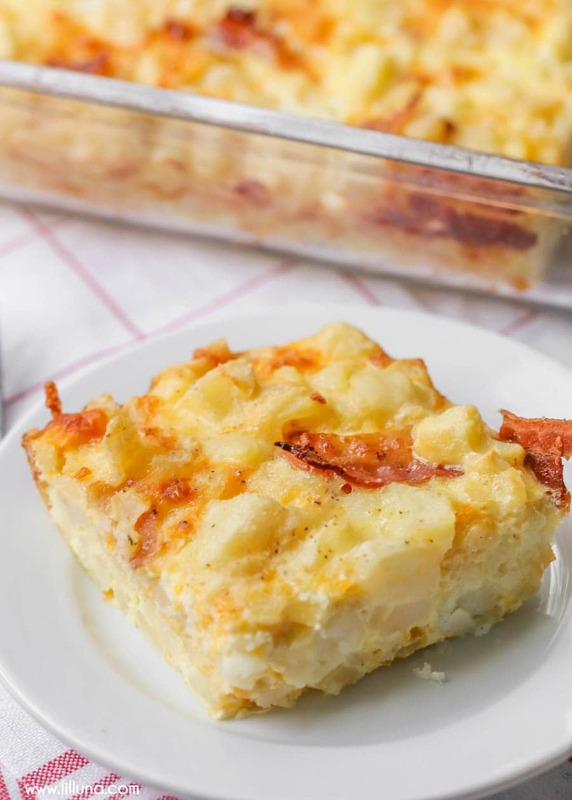 I love your site and check it every day for new recipes! Keep up the good work! Me too. I love the simplicity of these meals as some sites have soo many fancy extra ingredients that I don’t have around(herbs/spices ect) and my kids are picky at times. 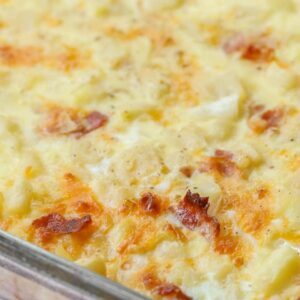 I have recently tried your easy alfredo/chicken tettrazini/creamy swiss chicken bake–all a hit w/ my 3 girls and husband. Thank you ! Yes, they are very filling, but so good 🙂 Thanks!